For a month or so before and after the end of the secular year, there are no shortage of best-of and most-notable lists in the English-language literary world. (In Israel, Hebrew literature has similar best-of lists which generally appear around the high holidays.) 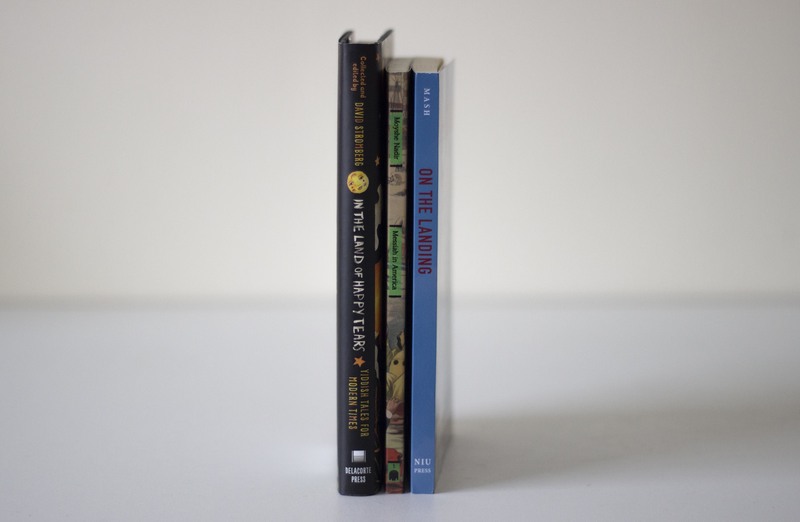 For all the surge of interest in poetry in the past decade, it is still a marginal genre compared to novels or Netflix; but poetry books have their lists too, hotly debated. Who are our best-of in the world of Yiddish poetry? When talking about poetry in a minority language, sometimes just existing is the best a book can be expected to do — particularly for a language in which aesthetics differ starkly from one end of the Williamsburg Bridge to the other, and depending on the sort of hat one wears. The question thus might be changed. Not what is the best Yiddish poetry being published today, but what Yiddish poetry *is* published today at all? The question of existence is necessary for the practitioner of poetry as well as the reader for the same reasons that the best-of issues matter for the reader of English (or another hegemonic language in its political sphere). We need people to tell us if what we are reading, or writing, is worth anything. Poetry is existential: We need to know if there are people out there who are like us. Any such list strongly depends on the definitions of “Yiddish,” “book,” and “poetry.” “Poetry” is easiest - it’s anything that the publisher calls poetry. As for “book,” I include only volumes devoted to a single author, and do not include anthologies. This is to limit the scope to within feasible bounds, as I don’t have a practical way to search all books of poetry which might include one or more poems in Yiddish. Regarding varieties of Yiddish, this list does not include any single-author books of Hasidic Yiddish poetry. Hasidic Yiddish poetry certainly exists—in Kave Shtiebel (“Coffee House,” the popular collection of online message boards frequented by a devoted group of Hasidim, mostly men), in book-length journals such as Der Veker, and in numerous simchas (family occasions) and other venues, but books of poetry (as far as I can ascertain by asking Hasidim and staff at a few bookstores), including anthologies, are not published in that community. In large measure, this is because poetry among Hasidim is mostly spoken word (“gramen,” performed by badchonim and others), not meant to be written down at all. Many videos and informal transcripts are circulating on Whatsapp; an enterprising publisher could collect them into an anthology. The difference between Hasidic poetry and (for lack of a better word) non-Hasidic poetry is a useful way to conceive of contemporary Yiddish poetry as a whole. The Hasidic poetry scene, one mostly not gathered between covers, is concerned with the present: the occasion for which the verse is written, the burgeoning community with its joys and discontents. The books collected below mostly concern themselves with the past, by which I mean not cheap nostalgia or easy reminiscence, but a search for the usable myth and fragments that can be reconstructed into a vessel for use in daily life. These are poems from an experienced writer and critic about returning to the language of her youth as a mature poet, including reminiscences and relatives’ harrowing stories about the Holocaust. 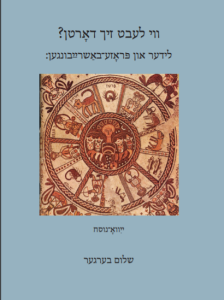 My review appeared in the Yiddish Forward.What I didn’t say there, because I hesitate to address issues of language vitality in a review (which should focus on the poems): it’s a sign of the pull of the Yiddish-speaking home, in all its bittersweet nostalgia, that a well-published scholar and creator in Hebrew and English should make the effort to publish a volume of verse which will reach fewer readers than her previous work. I want to reach out and tag Prof. Alcalay-Gut, tell her I loved her work and she should write more, but really the blessing and the curse of the Yiddish poet is that accolades must come from one’s own immediate milieu. These are poems by an experienced and much-lauded poet, including considerations of poetry’s timeless power. I reviewed this book as well in the Forward. I believe that Basman Ben-Hayim inspires not just Yiddish writers in contemporary Israel, who are not numerous, but a new generation of translators from Yiddish and scholars of Yiddish literature. Lyric poetry and short prose poems about daily life and extraordinary moments: this is my book, as you will have figured out. Let me tell you about today’s Yiddish-poetry infrastructure: there is none, or rather, what institutions exist are severely attenuated (the threads are showing right through), some in name only and some dependent on the maysim toyvim, or the good deeds, of a few individuals. I self-published, an avenue to publication I looked down on not so many years ago (this ignorant attitude was born of a childhood in English-speaking privilege, seeing only one axis of literary worth). 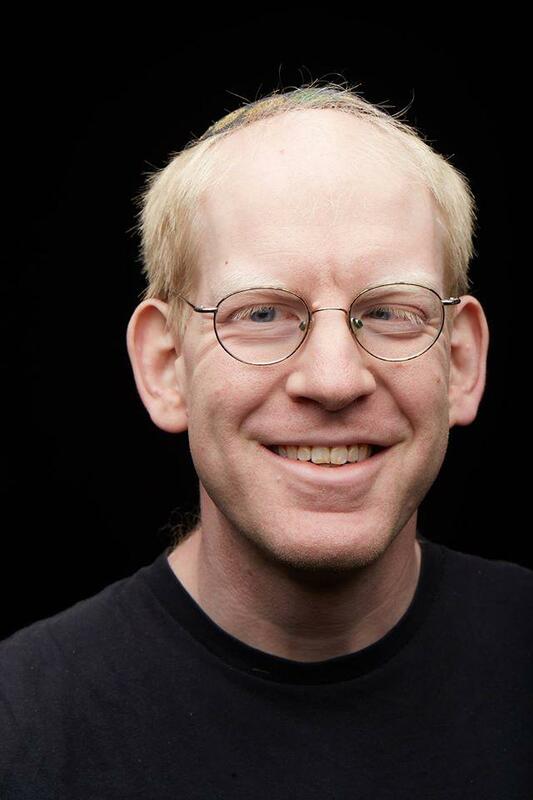 But it is the route to publication, for example, of Der Veker, the popular journal for Hasidim who want to read about controversial topics, without censorship but while maintaining allegiance to their community. 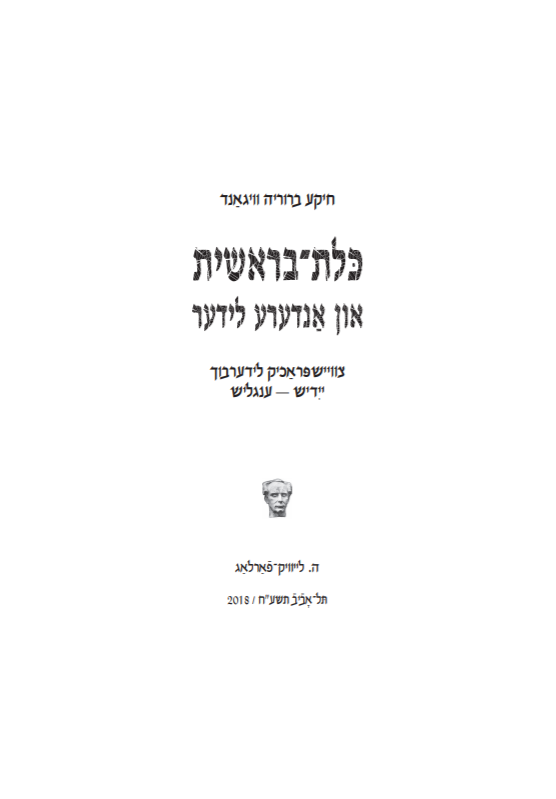 If it weren’t for Createspace, the Amazon self-publishing service, their journal couldn’t be easily distributed to Hasidim, and I wouldn’t have anywhere to publish a strange Hebrew-Yiddish hybrid that a conventional publisher wouldn’t likely touch. The fact that Amazon has recently merged Createspace with another division, and made it impossible to publish new titles in Yiddish and Hebrew, imperils this important, thriving corner of the Yiddish literary universe. The downside to self-publishing? Sometimes blowing your own horn makes you short of breath. 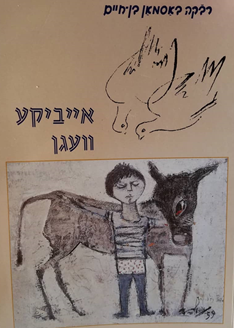 Poems by Anna Margolin in Hebrew translation. The poems in this collection were written by Riva Minska (Ruth Minsky Sender) during her incarceration as prisoner #55082 in the Nazi slave labor camp in Mittelsteine, Germany. I wish I had read either of these books. But they are indicative of important trends: as mentioned above, Israel is now a world center of Yiddish literature, criticism, and, most notably, translation. 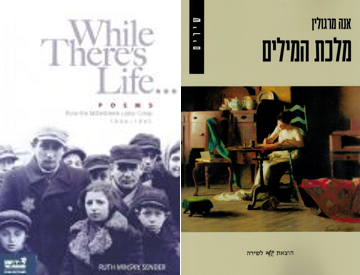 Regarding the volume of poems by Sender, it serves to remind us that a person could publish original Yiddish poetry from Holocaust survivors (and victims) every month and not exhaust the archives. Mystical voyages and philosophical musings feature in this second book by the poet and academic Weigand. I reviewed this one in the Forward too. Despite the manifold barriers set before the Yiddish poet who wants to follow her own artistic vision, Wiegand manages to leap over them and create her own half-Kabbalistic, half-neoromantic vision. The poems inspire and the fact that the book exists inspires as well. I wish I could say that this collection of books, small in number but mighty in spirit, is a harbinger of bigger things to come. But at the very least, every Yiddish-interested reader should acquaint themselves with these books (as I said, there are two I have to read myself), and perhaps ask themselves as well: what can we do to get more Yiddish poetry into books, from everyone: in Israel, the US, Europe, and other continents; by Hasidim, secular people, and all possible subgroups? Berger, Zackary Sholem. 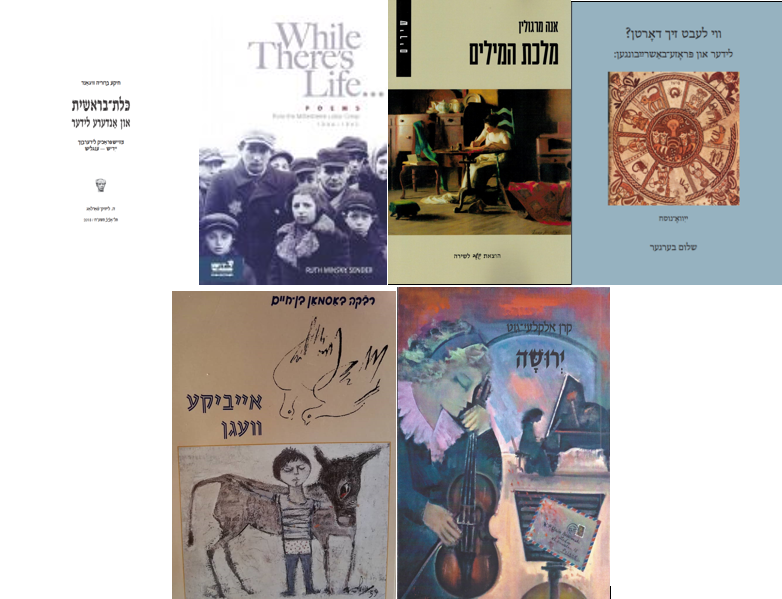 “An Idiosyncratic Round-Up of Yiddish Poetry in 2018.” In geveb, January 2019: https://ingeveb.org/blog/an-idiosyncratic-round-up-of-yiddish-poetry-in-2018. Berger, Zackary Sholem. 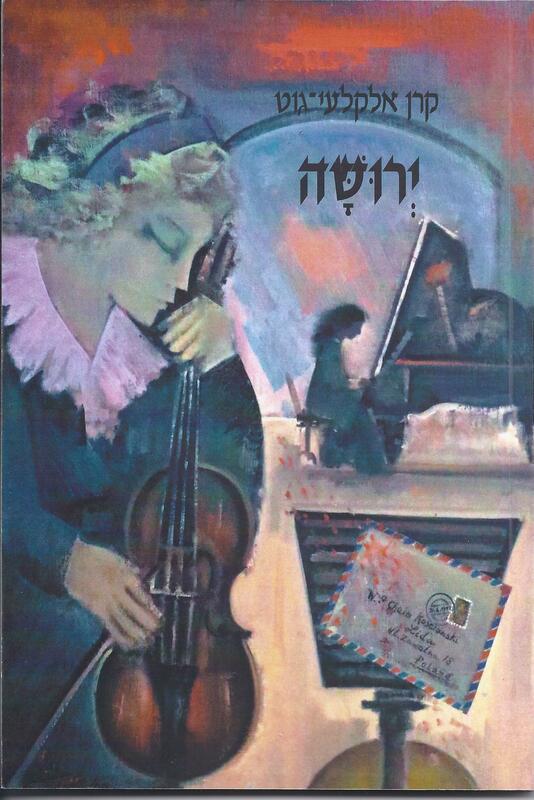 “An Idiosyncratic Round-Up of Yiddish Poetry in 2018.” In geveb (January 2019): Accessed Apr 21, 2019.